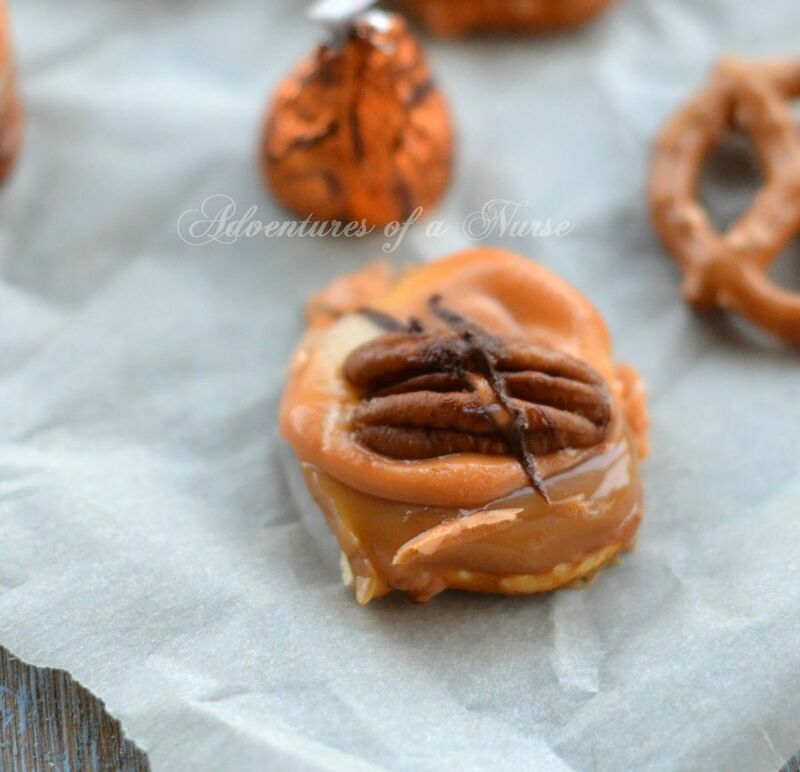 Caramel and pecans is one of my favorite treats in the fall. I make caramel turtles every year. When I saw the pumpkin spice herseys I knew I had to try them on a turtle. This recipe is very simple and you only need the oven on for 6 minutes. Directions: Preheat oven to 350. Line a baking sheet with parchment paper. Place pretzels on the parchment paper. 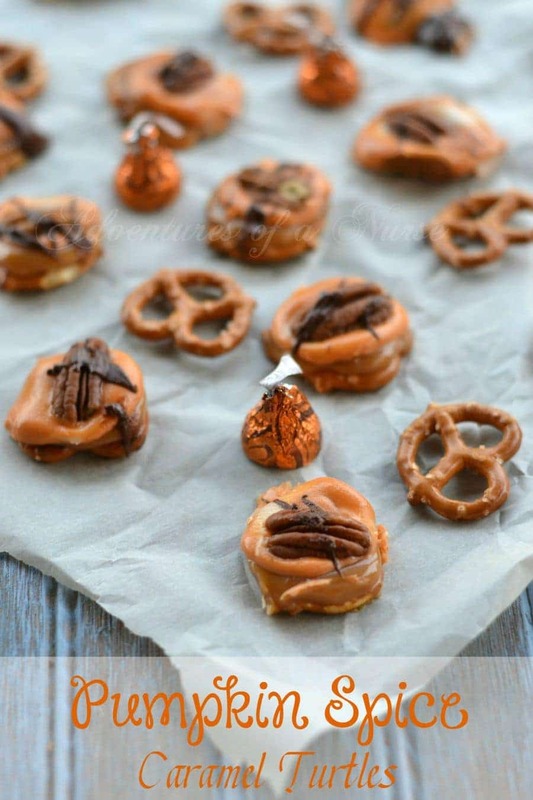 Place one caramel on top of each pretzel. Place in oven for 5 minutes. Remove from oven and on top place one Kiss on each caramel. Place back in oven for only 1 minute. Remove from oven and place one pecan on top of each. In a microwave safe bowl melt chocolate chips. Drizzle on top of each turtle. Allow to cool for about 15-20 minutes. Next Post → THE GOOD DINOSAUR – Coloring & Activity Sheets Now Available!! !